Today is day 13 of the Winter cardmaking series and for my card today I used the stamp set from Lawn Fawn Frosty Fairy Friends and colored the little fairy and the present using Spectrum Noir Alcohol Markers. Then I stamped the images from Deck the halls stamp set from Lawn Fawn using Lucky ink from Simon Says Stamp then ink blended High dive ink from Simon Says Stamp and also Mermaid Lagoon Distress ink. Then I used the stamp set from Avery Elle - Woodland Wonderland to add my sentiment which is stamped using Versa Mark and Wow embossing powder. To finish my card I added some half perles too look like berries and adhere everything using foam tape . For this card I colored my image using Spectrum Noir Alcohol Markers then fussy cut it leaving a white border. For my background I used Simon Says Stamp High Dive ink and Memento Angel Pink ink to ink blend the panel. 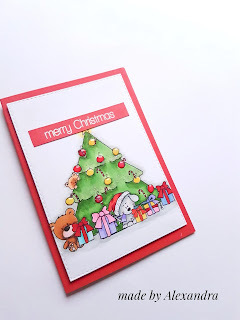 I also stamped the image from Viva Decor - Christmas stars and Merry Christmas using Versa Mark ink and Wow embossing powder. For the sentiment I die cut the Thanks die cut from Create a smile and adhered to my card. To finish up my card I added some foam tape to the panel and adhered to my card base. Today is day 11 of the winter cardmaking series and I have a card to share with you. For my card today I wanted to create a magical night time scene and for that I used Distress inks : Peacock feathers , Mermaid Lagoon , Picked Raspberry , Chipped Saphire and some Memento Dew Drops : Cantaloupe and Lilac Posies . The trees are from Inkadinkado Winter Woodland stamp set , sentiment from Lawn Fawn Frosty fairy friends which is embossed using Versa mark ink and Wow embossing powder. Today is day 10 of the Winter cardmaking series. 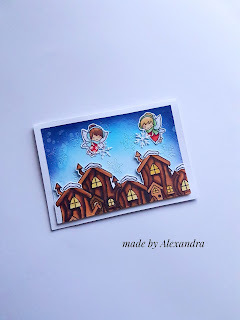 For my card I used Frosty Fairy Friends stamp set from Lawn Fawn and wanted to create a winter scene in which the little fairies bring the snowflakes over the city. To color the images I used Spectrum Noir Alcohol Markers and for the background I used Distress inks : Salty Ocean , Mermaid Lagoon and Chipped Saphire. To add a bit of interest I also die cut the background panel using Memory Box Snowy Scene die cut . I also made a video of how I did this card! 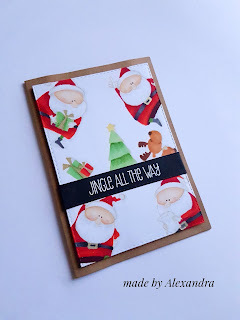 Today is day 9 of the Winter cardmaking series and in my card for today I used stamps form MFT Jingle all the ways stamp set. I also stamped the sentiment using Versa mark ink and Wow embossing powder. I made a video showing how I did the card. Today is day 8 of the Winter cardmaking series . 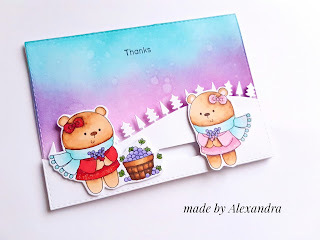 For my card today I used a freebie from Gerda Steiner Designs which is this beautiful scene. For this card I used Spectrum Noir Markers to color the images and for the sentiment I used Create a smile - Cool Buddies stamp set. The rest of the card I kept simple just too have the attention on the scene. I also made a video on how I colored this card. 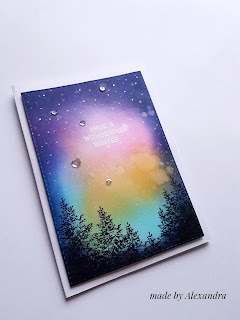 I have a card to share with you today and it's also day 7 of my wintercardmaking series ! For this card I decided to make a shaker card and the digi stamp that I used is from Gerda Steiner Designs. I made also a YouTube were I am showing the entire process of making this card. 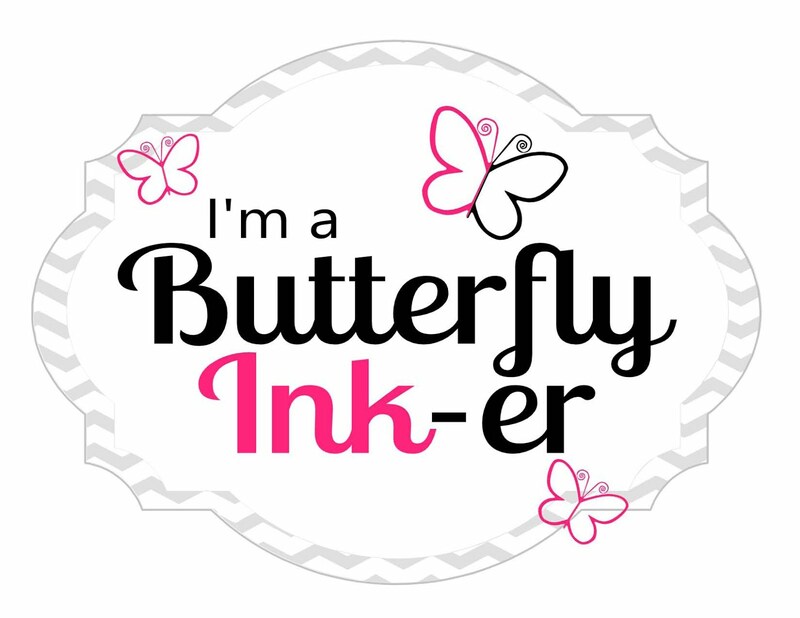 Create a smile - enamel stickers. Can't believe that is already day 6 of the winter cardmaking series. For my card today I am starting by ink blending the background using Distress ink Peacock feathers and Memento Lilac Posies ink to create my background. 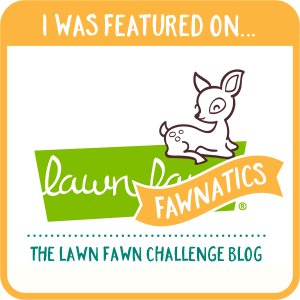 Then I started building my slider and initially I wanted the slider to be on the ink blended panel but I didn't like it how that turned out and decided to die cut the Forest Border from Lawn Fawn and make the slider on that . The sentiment is from MFT Happy hedgehogs stamp set . 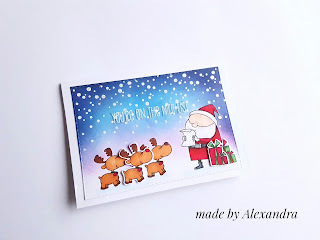 Today is day 4 of Winter cardmaking series and I have a cute card to share with you! For my card today I used MFT Jingle all the way stamp set and Spectrum Noir Alcohol Markers to color the images. For the background I used Memento Lilac Poises, Distress inks : Mermaid Lagoon , Chipped Saphire and ink blend them to create a night time scene. The sentiment is stamped with Versa mark and embossed using Wow embossing powder and I also embossed the falling snow from Lawn Fawn Snow cool stamp set! Thank you so much for stopping by! 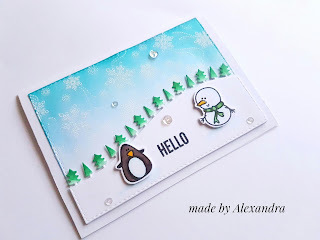 Today is day 3 of my winter cardmaking series and I am having a fun card to share with you ! Lately I really like doing interactive cards and A friendly turn stamp set from Create a smile ( which is part of their latest release ) is so perfect. Since I saw this stamp set I knew that I wanted to make a interactive card. To start I stamped my image and colored with Spectrum Noir Alcohol Markers then fussy cut it. Next is time for my background and I inked blended Distress inks : Antique Linen , Picked Raspberries and a bit of Mermaid Lagoon to create a sunset sky. 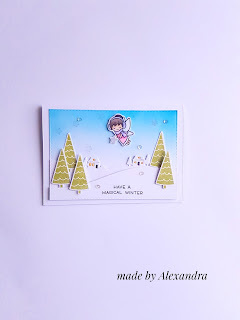 Another stamp that I really like I Snow Flurry from Create a smile which is a background stamp and I used Versa mark ink and Wow embossing powder to create some falling snowflakes. Now is time for the fun part: making the wheel spin :) For this I took a brad and made a hole into the image and into my background then added the brad . Today is day 2 of my winter cardmaking series and I wanted to share the card with you . I started by die cutting 2 panels and from 1 of them I used Forest Border die from Lawn Fawn to die cut my tree border. Next I used Simon Says Stamp - Lucky ink to ink the trees to add a bit of interest to the scene. I started to ink the second panel with Distress inks: Salty Ocean and Peacock Feathers. 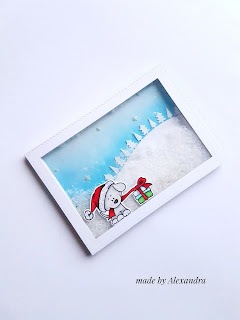 When my background was dried I used Versa mark ink to stamp the Snow Flurry stamp from Create a smile and used Wow embossing powder . The critters are from Cool Buddies stamp set from Create a smile and I color them using Spectrum Noir Alcohol Markers. Sentiment is from Your View stamp set from Create a smile. To finish my card I added some Pretty Pink Posh sequins. Thank you so much for stopping by! Have a great day! 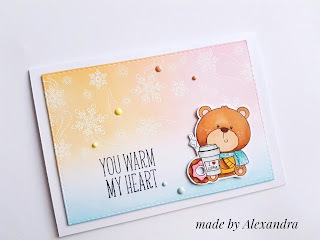 Today I am going to share a card that I made for my first Winter Cardmaking series 2016. I also made my first video on my YouTube channel showing how I did this card! ! For this card I used some Lawn Fawn stamps : Frosty Fairy Friends for the fairy and the sentiment and Snow Day for the trees which are stamped with Simon Says Stamp Willow ink. For the sky I used Distress inks : Salty Ocean and Mermaid Lagoon. The little houses are die cut using Craft Emotions Snow globe with houses, and the fairy is colored using Spectrum Noir Alcohol Markers! To finish up my card I added some Pretty Pink Posh - Sparkling clear sequins! Thank you so much for stopping by! Have a wonderful day!